Mapple even imagines the extra weight he has put on is another person. Nothomb (as she characterises herself in the novel) is at first fascinated by this, but when she mentions ironically a friend who starved herself as an art project, Mapple enlists her help to have his obesity declared a work of art. Just when we feel we know where the novel is heading (a satire that, having taken a cheap shot at the US army, is now heading for the art world), we discover that Mapple’s letters are not to be taken at face value. It is perhaps not surprising that a novelist might suggest that truth can be found in fiction, but Nothomb goes further, exploring the need to lie to achieve understanding. Even her final ‘action’ of the novel is to create a fictitious character for herself. 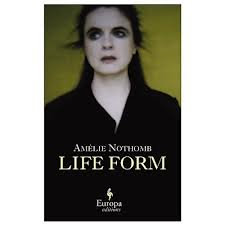 Nothomb is not to everyone’s taste: her novels are frequent and brief – she is the pop single in a world of concept albums – but they are always interesting. You are currently browsing the archives for the Amelie Nothomb category.